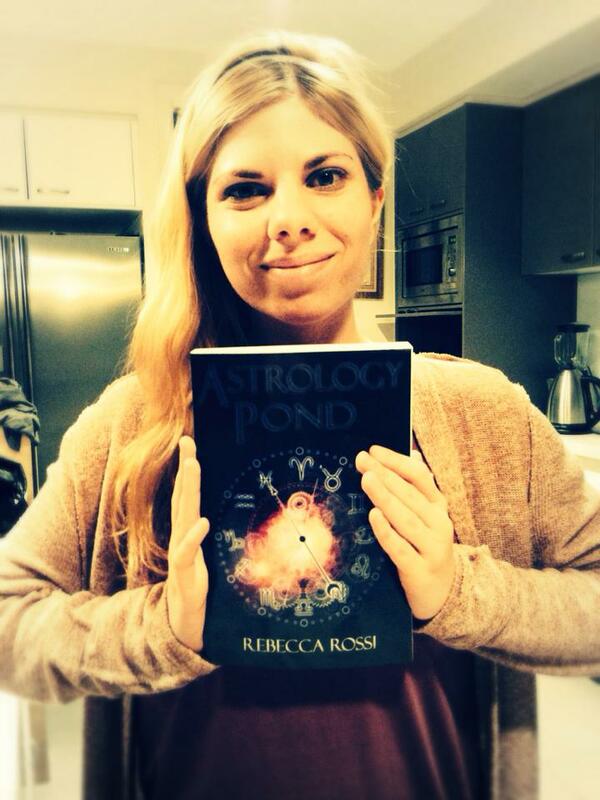 I am currently writing the sequel to Astrology Pond (Facing the Stars) and falling in love all over again with the characters I created in the first book. I love how much I have grown with them. I enjoy the journey my writing takes me on every time I sit down and begin to type. I am fascinated by all twelve signs of the Zodiac, not just my own (Gemini). It’s a topic I could discuss for hours quite happily! A fellow yogi told me recently that as we age we become more and more like our Rising or Ascendant Sign. I have to agree that as the years pass I am much more an Earthy Capricorn than Airy Gemini. *Just to clarify, your Ascendant Sign is the sign rising on the eastern horizon at the exact moment of your birth. It works as a mask or rather a first impression to those you meet. Your Sun Sign and Rising Sign harmonize to form your individual personality and the latter serves as a front door. For example, I once met somebody who told me that I didn’t seem like a typical Gemini or in his words ‘you are much more together and grounded than a regular Gem’ to which I replied ‘my Rising Sign is Capricorn.’ He immediately snapped his fingers and said ‘that makes so much more sense.’ He proceeded to do my birth chart and told me that Capricorn was not only my Ascendant and Moon Sign but also found in Saturn, Neptune and Uranus. In other words, Capricorn dominates much more of my personality than Gemini does and I see it reflected in daily life. I am very understanding of those who find Astrology a load of Taurus (see what I did there… 🙂 and I personally don’t buy into the everyday Horoscopes you read in Newspapers and Magazines as 1.) they are much too general and 2.) they do not factor in an individual’s Rising and Moon sign much less where the other planets were positioned at the time of birth. What excites and grabs me is the way the stars really do dictate our personalities at times. I met a girl at a party a few years back and in the first five minutes of meeting her I knew she was a Sagittarius. She possessed typical Sagittarian features (tall and strongly built with energetic yet clumsy movements) and mentioned her love for travel before bluntly but honestly remarking on my hair. I raised my eyebrows and said ‘Sagittarius?’ and she gasped ‘how did you know?’ If you spend enough time studying the stars and how they are governed, it becomes easier to understand how others work and present themselves. My partner is a Capricorn (Sun Sign) and a Capricorn (Ascendant) with a Gemini (Moon) so needless to say I understand him quite well! He is deeply logical and grounded but his Moon in Gemini makes him quite restless with a constant need for mental stimulation. Once he has learned something, he’s over it and needs a new challenge. The ability to learn quickly is definitely the influence of Gemini Moon and not so much to do with Capricorn. In Astrology Pond, twelve teenagers (one of each sign) form an Astrological Group and learn more about themselves and each other through their differences. As this book was targeted at young teenagers, I didn’t delve into Ascendant Signs and Planetary Alignment but I won’t rule it out of the sequel! I try to convey just how many clashes can occur when you throw 12 very strong yet very different personalities together. However, I also try to show how anybody can be compatible with another sign just by understanding who they are and what drives them. For example, if I meet a Taurus for the first time, I already know they will have a strong love of food, family and nature so discussing these topics will make them feel comfortable. If I meet a Leo, I know they love a good compliment and if I meet a Pisces, I know we can sit together in a comfortable silence. Again, this rule does not apply to every single Taurus, Leo and Pisces I meet but the majority of the time it does. Astrology is a beautiful way of finding your place among the stars. The guardians of the universe or planets if you will were all positioned at very different times and places depending on where and when you are born. I don’t know about you but that makes me feel very special! It is also another wonderful way of connecting with the universe and your spiritual side. Don’t forget to look up at the stars once in a while…they are always there guiding the night but how often do we acknowledge or appreciate their significance in our galaxy? Once again, you may find Astrology to be a bunch of nonsense so take my words with a grain of salt! After all, the Zodiac does not need to be taken so seriously. Have some fun with it! If you wish to know your Ascendant or Moon Sign, Café Astrology offers free and detailed birth charts – simply put in the exact time of your birth and be amazed at what you learn about yourself! I’ve always found horoscopes interesting but – as you said – found them very general. When I was living in Malaysia, everyday after school I’d rush over to the newspaper and flip to the horoscope page to read mine (Taurus), only to be disappointed it didn’t apply to me. Astrology is certainly a different thing altogether as it involves connecting and understanding life through the moon-sun-planets trifecta. I remember astrology books were everywhere front and centre of bookstores…so hard to know which are the informative ones and they ALL had colourful covers! Often I wonder if people can tell my Zodiac sign when they meet me. I think probably not 😉 Don’t think I’ll ever be able to pinpoint my Ascendant Sign since I have no clue what time I was born!